Manchester United fans were elated with Alexis Sanchez’s sublime showing against Swansea City in the Premier league. The Chile international had received plenty of stick for his performances prior to the international break, but he managed to turn things around with a goal and assist in the opening 20 minutes. 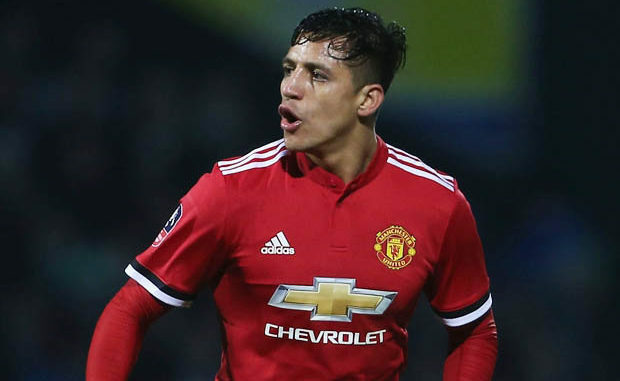 Sanchez offered a delightful ball for Lukaku to open the scoring in the fifth minute, and he continued to score just his second Premier League goal in the United shirt after a deflected pass into his path. The 29-year-old has been criticised heavily for failing to living up to his usual expectations, but Saturday’s performances was very assured with contributions on either side of the field. Only 21 minutes in and that is by far the best I have seen of Sanchez in a United shirt. Pleased to see Alexis Sánchez on the scoresheet. Hopefully he can kick on and get back to his world class form. Alexis Sánchez will get it right, he wants to succeed at Manchester United you can see the determination. Fantastic goal by Alexis Sánchez. This is the Manchester United I want to see week in, week out. We’ve been really good today thus far. Alexis Sanchez MOTM for me. A goal and a assist is the perfect way to contribute to the side, especially when you're looking to recover your form. Hopefully he can build on this performance till the end of the season. Obviously, the supporters were concerned that Alexis Sanchez’s arrival may hamper the gametime of Marcus Rashford and Anthony Martial, and it has been the case with the latter only starting on the bench. Despite this, there is plenty of time for the pair to progress at Old Trafford, though the future of Martial, in particular, remains in doubt with his contract expiring in less than 15 months’ time.